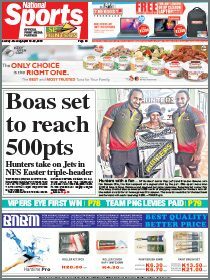 National Rugby League Papua New Guinea’s Beyond the Goalpost programme has been running for the past three years, says coach and mentor Aaron Henry. “We teach young rugby league match officials on the basics, such as sign language and flag raising,” Henry said. “In the Digicel Cup and other A-grade games, we sometimes see our senior match officials make mistakes on sign language on the field. “That is why it is important to teach young match officials in programmes like the Beyond the Goalpost, so they can become professional referees. “In the programme, we have four children who are actually refereeing now in the Port Moresby Rugby League competition. “In nines tournaments, we can get these children to go and officiate the game. “That is how they learn and develop to become better match officials. 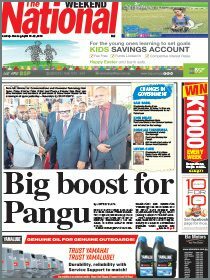 Henry said NRL PNG started the programme and invited him to look after the children. “So from there, I teach them every Tuesdays and Thursdays, including the senior ones,” he said. “We have been running it for years now. “We’ve seen that it’s going to benefit rugby league in the future. “We have a total of 36 children who are part of the programme, and they attend schools in Port Moresby. “Some children who are not in school are also monitored by us. “We bring them into our programmes as ball boys and girls. “So we got in touch with Digicel Cup’s (competition manager) Stanley Hondina to request if our children could be ball boys and girls, and they agreed.